GTL DNA siblingship test determines the statistical probability of whether or not siblings (brothers and sisters) share the same two parents. The price of the DNA test is at £199 which includes two siblings but you may add more if required at extra cost. When seeking to determine siblingship and establish whether applicants are true biological siblings, the most conclusive method is to test their parents. If the alleged parents are unavailable or unwilling to provide DNA samples, a sibling DNA test can be carried out to analyse the relationship of biological siblings. 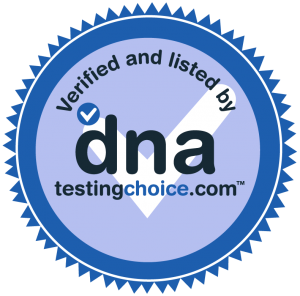 Including a common parent greatly increases the accuracy of this type of DNA test and is recommended if at all possible. If this is not possible, disclosing that siblings share a common mother or father can also lead to more meaningful results. Sibling DNA testing is different to a paternity test which will always provide conclusive results. When processing a siblingship test, our DNA laboratory will establish the genetic profile of each of the alleged siblings. Depending on the genetic material inherited by each alleged sibling, a siblingship DNA index is calculated. If the siblingship DNA index is less than 1.00 it indicates that the alleged siblings are not related. If the siblingship DNA index is greater than 1.00 it indicates that the tested applicants are more likely to be true biological siblings. The higher the siblingship DNA index value, the greater the likelihood that the tested applicants are true biological siblings. IMPORTANT NOTE: Our siblings test is carried out with mouth swab samples. Results using mouth swab samples take 5-7 working days. We can only guarantee standard result turnaround time when sibling DNA testing takes place solely using mouth swab samples. Using a discreet sample for your test may lead to an increase in turnaround time. How does a Siblingship Test Work? In order to determine the likelihood that the alleged siblings share one parent in common rather than two (mother and father), a half siblingship DNA index is calculated. By comparing the half siblingship DNA index against the full siblingship DNA index we are able to determine whether the alleged siblings are more likely to have one parent in common (e.g. the mother only) or two parents in common (mother and father). GTL sibling DNA tests are performed using a method known as “All-vs-All”. This means that when a sibling DNA test is carried out between two siblings, for example Ann and Bob, one report will be issued detailing the relationship between Ann and Bob. When testing three siblings, for example Ann, Bob and Charlie, three reports are generated detailing the relationships between Ann & Bob, Ann & Charlie and Bob & Charlie. Testing four siblings would result in six reports: Ann & Bob, Ann & Charlie, Ann & Dave, Bob & Charlie, Bob & Dave and Charlie & Dave. Order your legal sibling DNA test kit or CSA DNA test if you need court admissible results. Our laboratory processing cost for legal sibling DNA testing is £349 and includes DNA testing of two applicants. Additional children or a known parent may be tested at an extra cost of £119 each. When testing male siblings to determine whether or not they share a common father, a Y-STR male lineage DNA test may provide a more conclusive result. If siblings are trying to determine whether or not they share the same maternal lineage, an X-SV DNA test may provide a more conclusive result. Order your home sibling DNA test kit and collect samples following a few easy steps. Our siblingship DNA test cost is of £199 and includes DNA testing of two applicants. See the information box below for full details. Additional children or a known parent may be tested at an extra cost of £70 each.